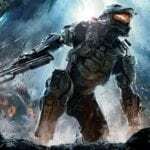 As February starts to draw to a close Major Nelson has announced the free Games with Gold coming to Gold subscribers this March. There’s plenty to enjoy in March with some gaming gems and a healthy amount of points to boost your gamerscore. For the duration of March Xbox One Gold subscribers can download Trials of the Blood Dragon; in this 80’s inspired title the offspring of Far Cry 3: Blood Dragon’s Rex Colt take to their bikes with the addition of shooting, tanks and jetpacks. There will be 30 different missions to tackle filled with humour and action. From the 16th march to 15th April gamers can get their hands on the award winning FPS that is Superhot. Using an innovative game style that saw players standing still to pause time, Superhot became a hugely popular title. 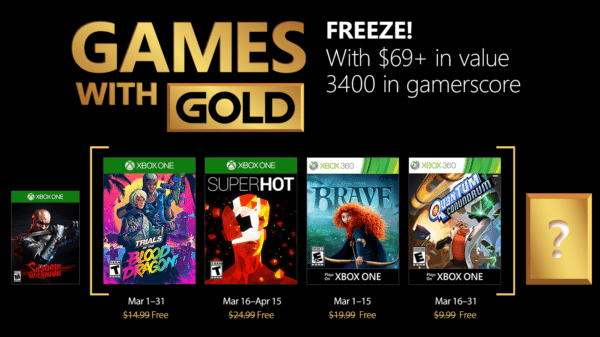 For the first half of March Xbox 360 Gold subscribers will be able to become Brave‘s Merida as she joins other characters from the popular Pixar movie to battle fierce opponents and break a magical curse. Brave will be followed by Quantum Conundrum, a platform puzzler that sees players become the twelve year old nephew of Professor Fitz Quadwrangle and travel through dimensions solving puzzles to find his lost uncle.